Ever since my chiropractor f**** me up I have been doing yoga and drinking my green smoothie. I am not going to dwell any longer on the subject of how much pain I was in. 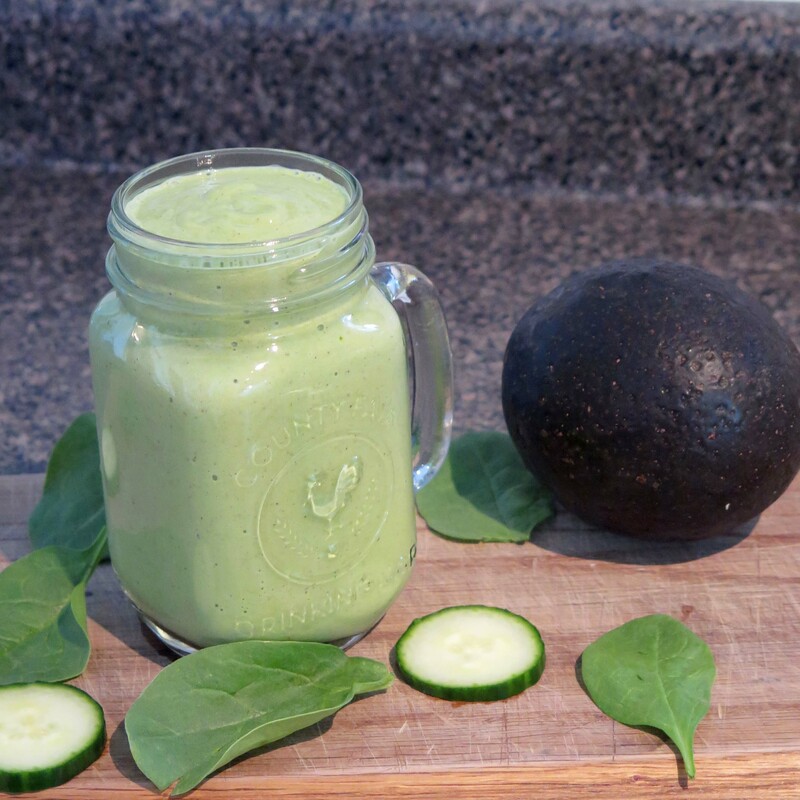 I will now move on to my favourite smoothie that I can´t live without! I feel so bad without yoga and my smoothie. I have skipped the couple of days on weekends but then the guilt eats me up 🙂 Plus my hips are not feeling happy without my morning exercises. Choose your chiropractors wisely, especially if you have a preexisting condition, they just don´t care! 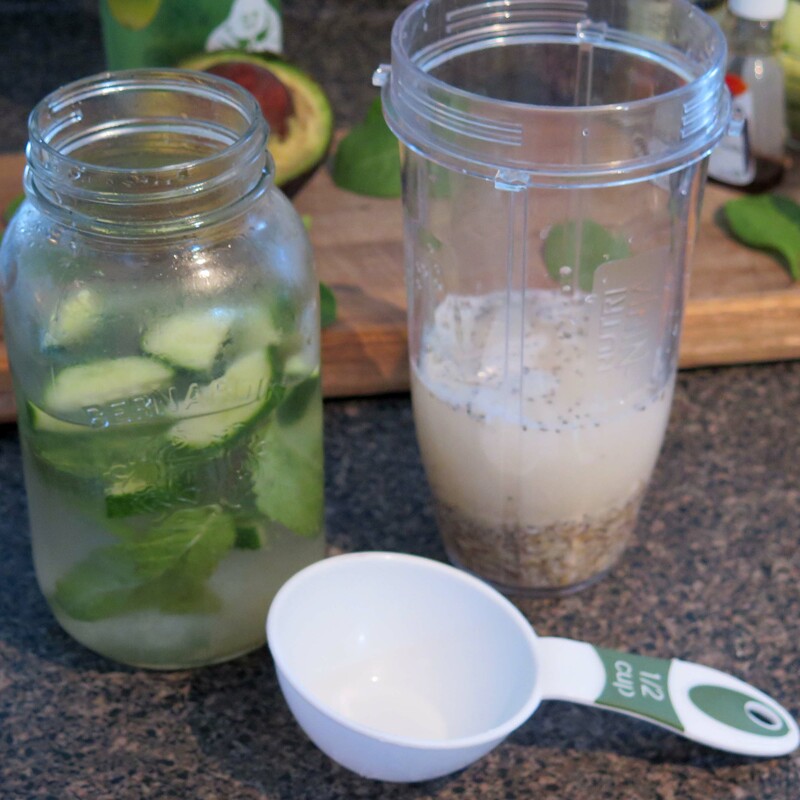 I drink sassy water in the morning when I wake up and also use it in my smoothie. I have done it so many times now that I don´t use a recipe any more, I just add the ingredients by feeling but let me just find a recipe for you! 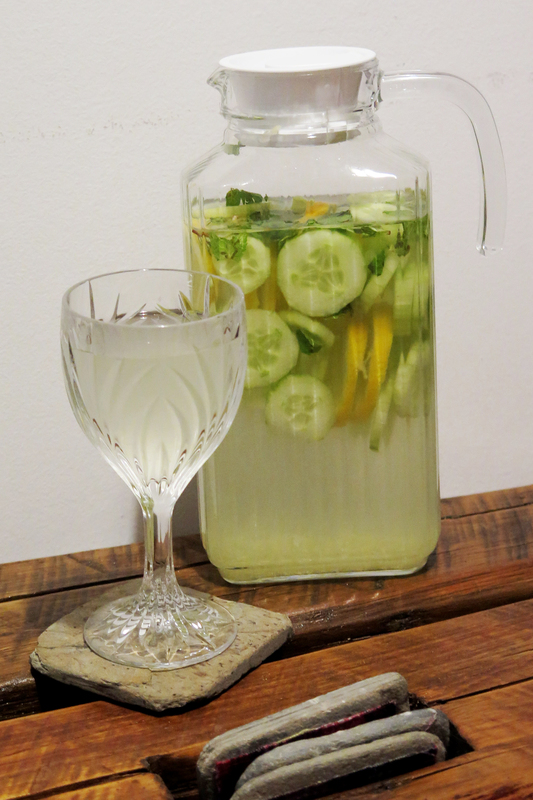 2 litres of water; 1 tsp of freshly ground ginger – I use the one in the jar, works as well, 1/2 sliced cucumber, 0,5-1 lemon sliced up or concentrated lemon juice, 10-12 mint leaves. For the smoothie, put everything in the blender. 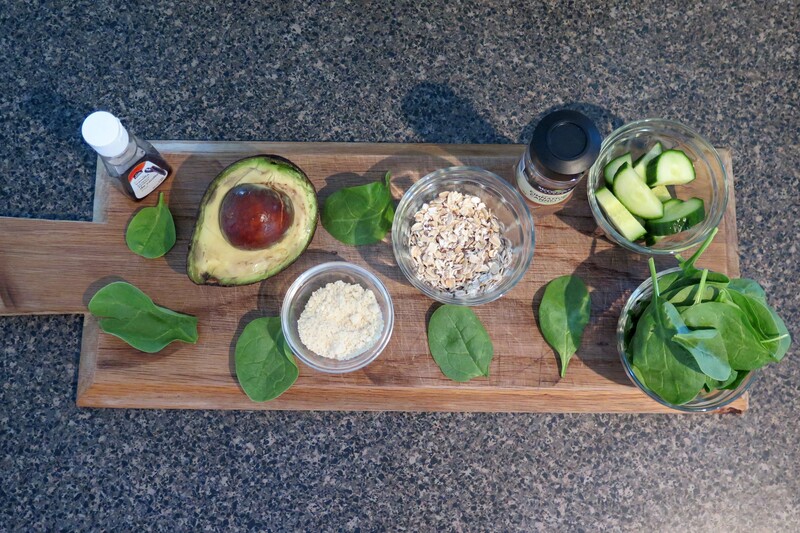 I start with dry ingredients, then add the liquid, then spinach, cucumber and avocado. Blend for 2 minutes. It comes out nice and thick. If you prefer more liquidy smoothies then add more liquid to it. 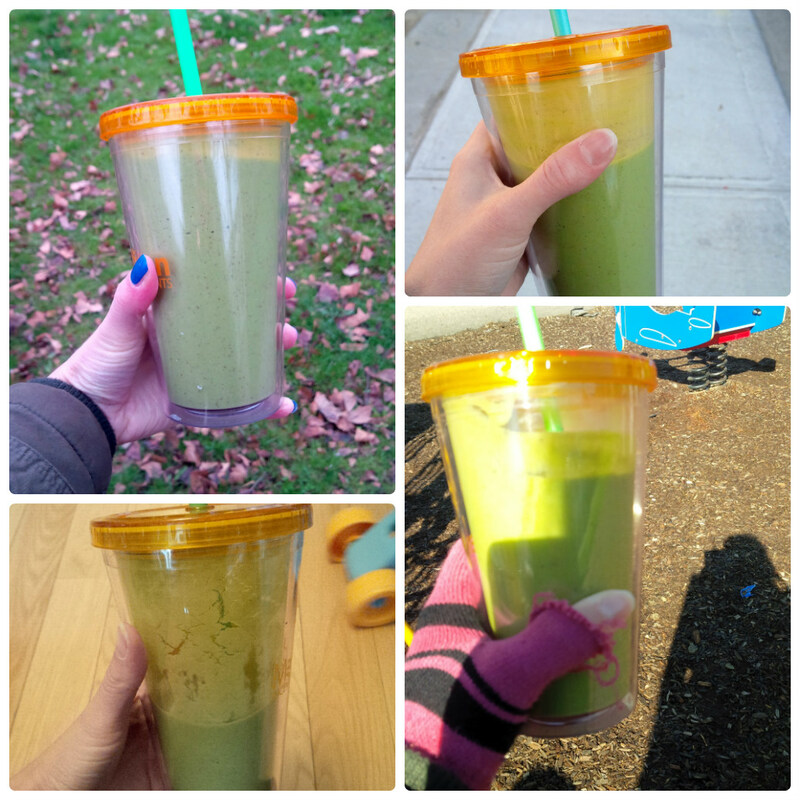 What is your favourite smoothie made out of? Sorry about your pain 😦 This smoothie, however, looks delicious! It is, very delicious! Thank you! I love this recipe and the presentation. It just looks great, will recommend it and I will try it !